It's the first time in years that Dawn has been back to Starlight Cove, on Lake Michigan, but it's the only place she ever thought of as home as a child. 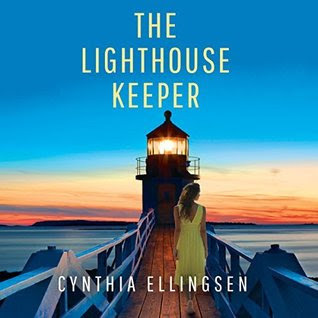 Yet the tv scandal show has stirred up trouble even here, and even as she buys and rehabs a lighthouse to cover the real reason she's here, she encounters friends, enemies, and people whom she can't figure out which category they belong in. It's mystery and romance in a small town, and I enjoyed it quite a bit. I do have a really tiny, insignificant complaint, which will matter, most likely, to exactly no one. At one point, getting around Starlight Cove on a bike, Dawn thinks about the fact that in Boston, people would routinely take a cab to go just five blocks. In Boston? Seriously? Yes, we have cabs in Boston. Yes, they have customers. But in Boston, allowing for the fact that "five blocks" is in Boston a remarkably squishy, useless term, nobody takes cabs for short distances, in ordinary circumstances. In Boston, it's easier to walk, or take the T. Because Boston is a lousy city to drive in, not worth doing if you don't need to have your own car with you. Although even then, parking is expensive and hard to find, too. No, someone who, like Dawn, had lived ten years in Boston, would regard the T as a normal way of getting around, and a cab as a relatively expensive option for special cases. This would be especially true in the compact, crowded financial district, where Dawn presumably works. But that's a personal pet peeve, and nearly everyone has them when someone writes about their hometown who doesn't really know it. Heck, my subconscious kept trying to transplant Starlight Cove to the New England coast, and I kept having to slap it down! Dawn, her parents, Kip Whittaker, the Henderson brothers, and others in Starlight Cove were interesting and likable characters, and there's an interesting mystery at the heart of the story.